Removal Times vary by location. BY APPOINTMENT ONLY within 4 days of auction close. This item has been viewed 1239 times. 1984 154 HP CASE TRACTOR 2294 WITH KD QT 5000 FRONT END LOADER. Asset # 93908/Asset # 128823. Currently shows 6865 miles / hours, VIN / Serial #1120896161 (Tractor) 50-1460 (Front end loader). Has Key. BY APPOINTMENT ONLY at location. Please contact the person named in the item description to schedule a removal appointment. 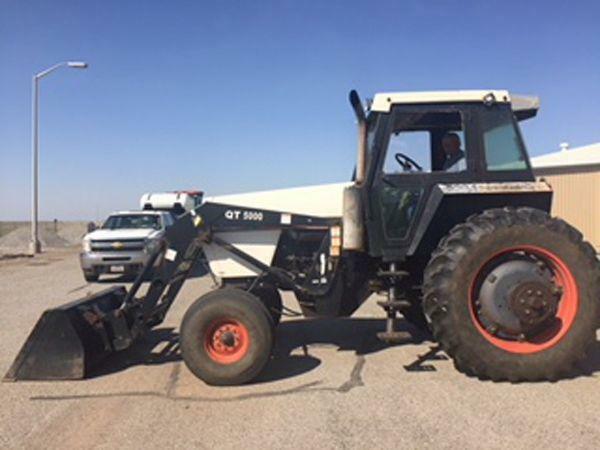 If items are not removed within 4 days of auction close, the buyer forfeits monies paid and the property reverts to Texas AgriLIFE Research or Texas AgriLIFE Extension with no recourse. There will be NO ASSISTANCE or PACKING / SHIPPING SERVICES available from Texas AgriLIFE Research or Texas AgriLIFE Extension employees for removal and transportation of items won. Removal of item is the winning bidders’ responsibility. 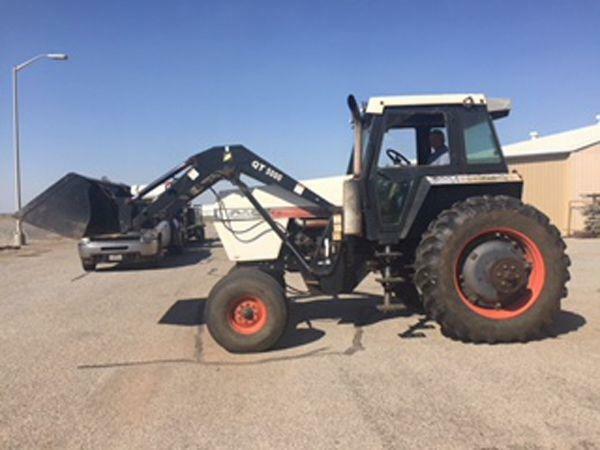 If items are not removed within 4 business days of auction close as stated above, items will remain property of Texas AgriLIFE Research or Texas AgriLIFE Extension. No Exceptions! Please present a copy of your paid receipt and a valid Government issued picture ID when picking up all items. Written authorization must be provided to the seller allowing a person other than the buyer named on the paid receipt to pick up items.